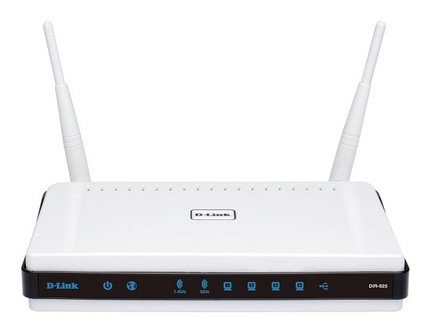 D-Link DIR-825 Xtreme N Dual Band Gigabit Router,It’s like two routers in one. This Xtreme N® router operates on dual band Wi-Fi signals, making it easy to stream HD content while browsing the Internet without bogging down your network. D-Link has created SharePort™ technology to bring more flexibility to your network. With SharePort technology, you can connect a USB printer and share it throughout your network. You can also share a USB storage device, providing network storage for everyone to share*. Revision Info: ¤ Fixed: Correct HNAP issue. i have bought DIR 825. but unfortunately i lost the installation CD. Please help as the hardware is of no use it i get the CD. how can i get the cd. I also have lost the CD. Is there a way of downloading the software for setup? Reset it 192.168.0.1, but now guess a pw for ‘admin’. Help! I have a Dir-825 router and recently purchased a panasonic DMR-PWT635GL blue ray recorder I have set up the DIGA remote recording and play back app. The remote recording app connects to the recorder and works well however the Watch broadcast and playback feature does not connect to the recorder. The panasonic FAQ recommends switching of the anti snooping feature. I have Toggled the IPv4 and 6 switch which have not worked. Do you have any set up recommendations to get this working?